Back in Action & Action Kids understand that your health and wellness is very important to you and that is why we take special care providing the best in physical therapy and customer service. 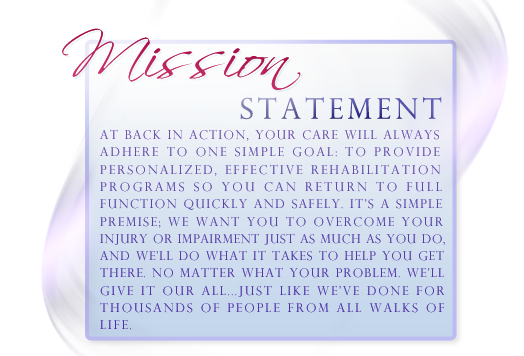 Our highly trained therapists and technicians have years of experience in working with patients. Here are a few frequent questions our patients usually ask us. Please read over them to see if they could benefit you. There are countless injuries out there that do not require surgery, but can have a negative effect on your life if left untreated. Pulled muscles, sprained ankles, tennis elbow and arthritis are just a few of them. Physical therapy can help your body heal faster from these injuries. It’s also a good idea to get physical therapy BEFORE surgery so base measurements can be taken and you can easier recognize what you need to do after surgery. Its OK if I feel a little pain? Pain is never OK. Mild disconfort is acceptable when rehabbing, but pain means something is being over taxed. You risk injuring yourself further if you continue with your activity after you begin to feel pain. 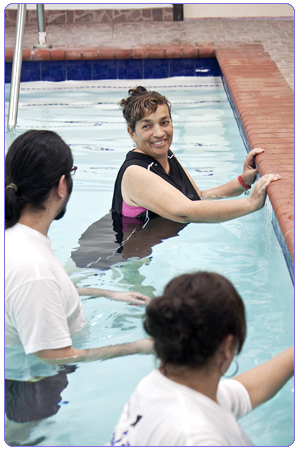 Physical therapy practices are accepted by most insurances. Recovering from an injury doesn’t happen overnight. It takes days, weeks or months of hard work to get back to form. Expecting a few visits with a physical therapist is not enough and will result in slower recovery and a greater chance of making your injury worse. Physical therapy is for sports injury only? 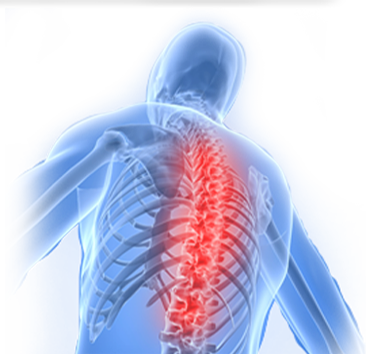 Patients with stroke, back and neck pain from degenerative disease, post-surgical patients, and even those with chronic headaches benefit from many of the modalities of physical therapy, including heat, ultrasound and electrical stimulation of the muscles. These therapies are used for conditions that are not injuries per say, they are pathological conditions. First of all, many people avoid physical therapy because they have the assumption that it is painful and involves a “no pain, no gain approach” that’s old school. Fact is physical therapists are taught to treat with non-painful methods. Will medication help out my injuries? Well it’s a fact that most health care providers are taught to prescribe medication or send patients to see a doctor or specialist for many types of pain concerning the structure of the body, muscles, back, leg’s and the list goes on and on. Do we recommend medication over therapy? Simple answer. NO. Physical therapy can cause relief just as well as medications? Yes! We'd suggest you also take a look atthe root of the problem instead of applying a temporary band-aid to the problem.